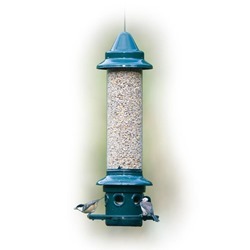 Putting food out for the birds is a great way of bringing winged wildlife to your garden, but it can also attract other hungry creatures such as squirrels. 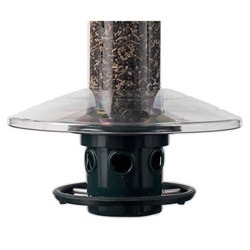 If you want to guard your feeders and prevent squirrels from eating your bird seed, we have a range of bird feeder protection products to help you do this. 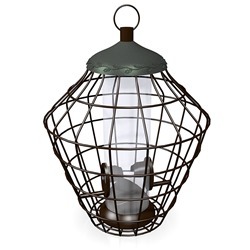 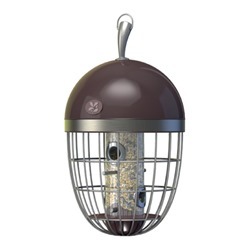 Our best-selling squirrel proof bird feeders offer a variety of innovative ways to keep squirrels and other animals out while allowing birds to feed freely. 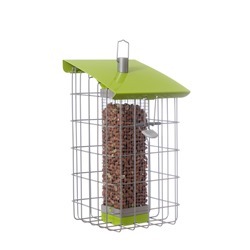 Grey squirrels have become exceedingly common throughout the UK, but that doesn't mean you have to stand idly by and let them gobble up all the food that was supposed to go to your garden birds! 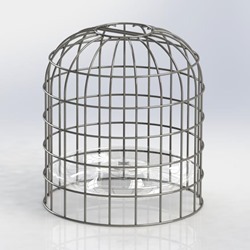 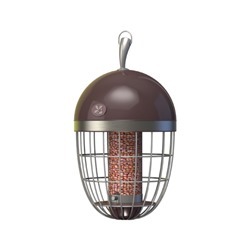 We also supply a variety of squirrel guards that allow you to protect the feeders you already own. 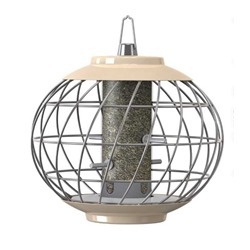 Choose from the products listed below, or give us a call on 01489 896785 to find out more about our squirrel-resistant feeders and the other products we offfer. 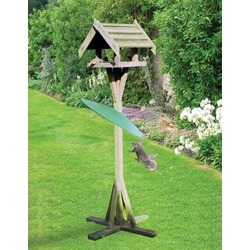 Squirrel Slinky Stop squirrels in their tracks, by hindering their pole-climbing ability! 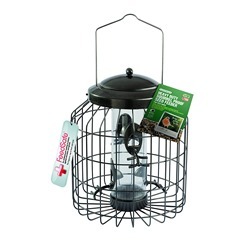 Bird Feeder Guardians Small and large guards to protect your feeders from hungry squirrels! 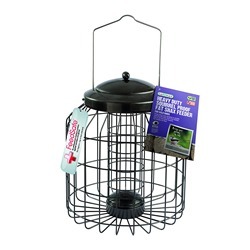 Squirrel Buster Classic Uses proven technology to stop squirrels in their tracks, whilst allowing visiting birds to feed freely. 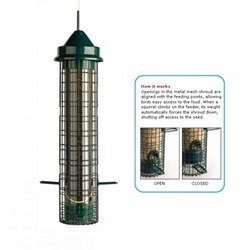 Squirrel Proof Seed Feeder This low-cost seed feeder is great for keeping squirrels and large birds at bay! 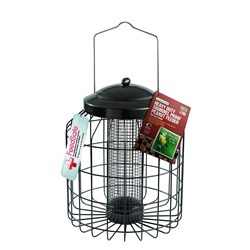 Squirrel Proof Peanut Feeder This low-cost feeder will help to keep your peanuts safe from squirrels! 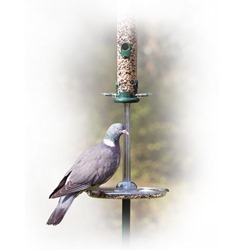 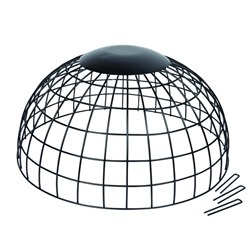 Pigeon Spacer™ Stop pigeons and other large species from disrupting the feeding routine of small, garden birds! 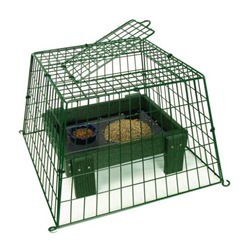 Squirrel Proof Ground Feeding Haven Stops squirrels raiding your ground feeders - bliss for little birds! 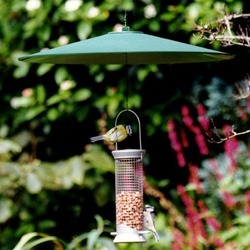 Versatile Squirrel Baffle Prevents squirrels from getting at your feeding station or hanging feeder! 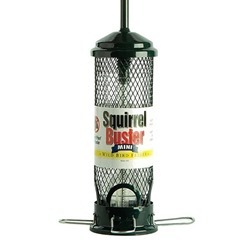 Squirrel Buster Mini A 100% squirrel-proof feeder, which can be used for a variety of bird seed products. 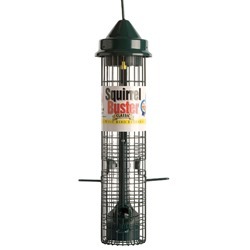 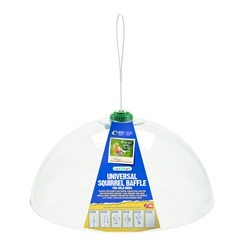 The Squirrel Buster The spring loaded stops squirrels from gaining access to your bird feed! 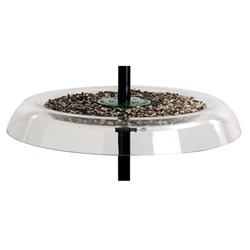 Nuttery Extra Large Peanut Feeder A large peanut feeder, which keeps your product safe from squirrels! 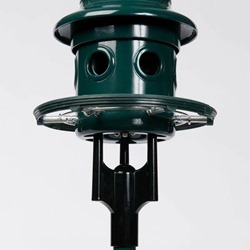 Pole Mounted Squirrel Dome Stop squirrels from climbing your feeder poles and stealing the bird feed! 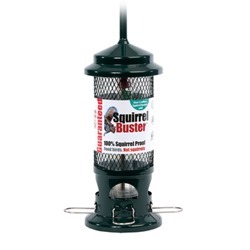 Squirrel Buster Peanut Feeder Prevent squirrels from digging into your peanuts for good, with this innovative design! 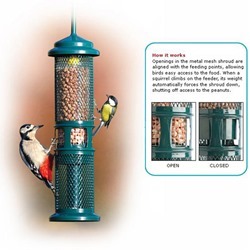 National Trust Acorn Seed Feeder A robust seed feeder with real WOW factor! 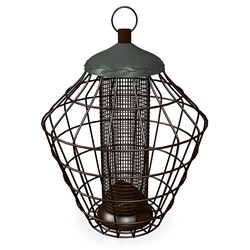 National Trust Acorn Nut Feeder A stunning, handmade peanut feeder, made from high-quality materials.